Specialising in quality cleaning services for your home and office in Malvern and Worcester. At Worcester City Cleaners we provide a friendly, professional service to keep your office space tidy and comfortable. We understand the value of work space that is pleasant to be in and that presents the right image to visitors – that’s why we provide a comprehensive service tailored to meet your requirements and delivered around your working hours. We have options for key holding which allows us to clean your office after hours – our ‘invisible’ service – or we can clear-up during the same hours as your office staff, while still maintaining the same discrete, but effective presence. Our office service ensures your office is a great place to work and helps to boost morale. Because we are an all round cleaning company there is no aspect of office cleaning that we cannot undertake. We have the skills and equipment to clear carpets and windows, and can carry out regular detailed cleaning as part of a routine office dusting package. Our team is here to polish desks, dust Venetian and vertical blinds, keep skirting boards scuff-free and ensure your kitchens and bathrooms are thoroughly clean and 100% hygienic. We are the leading cleaning company in Worcester that customers recommend and that’s because of the consistently high quality service we provide. We welcome all jobs, from the routine to the highly specialist and provide the office, window and upholstery cleaning Worcester homes and businesses can rely on. Our teams work with attention to detail and dedication to provide a great service, whatever we do. So give us a call, or send an email today. We will show you how we can meet your cleaning needs and provide a free quote. 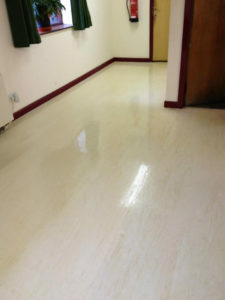 We provide the quality office cleaning services that keep Worcester and Malvern spick and span.